Why Should You Host Your Website in China? First of all, if you want to target the Chinese market you have to follow some rules. One of these is that this market is incredibly special and unique. You cannot adopt the same strategy as you would in Europe, USA or anywhere else. If you target the Chinese market, you will have to adopt a specific digital strategy and the first step of this digital strategy should be to host your website in China. It will be the best way to reach your (potential) customers whether through website, mobile or social media. That is how you will be able to engage your customers and encourage them buy your products or services. 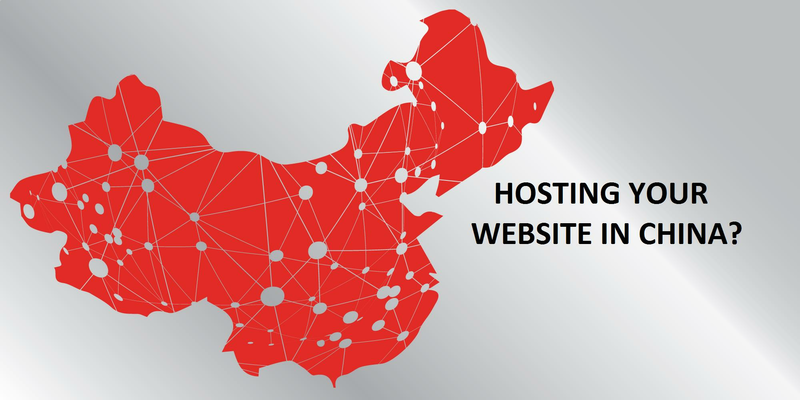 What Are the Different Steps to Host Your Website in China? Technically almost anyone can buy a Chinese domain name. Let’s clear this up, it is only available for Chinese people and Chinese companies. If a foreign company wants to buy a Chinese domain name, it has to have a legal entity in China otherwise it will not be possible. It goes the same for foreign individuals, they cannot buy a Chinese domain name. To explain the reason why it is because you will need to confirm your identity to the entity from whom you will buy the Chinese domain name. Select the name and registration term of a domain name to be registered. On one hand, if you decide to work with a company/agency to help you to get your Chinese domain name first, they will probably offer you the choice to use their servers. Then you will either have the option to have a dedicated server or share a server with their other clients. On the other hand, if you already have some internal servers you can use them if they are located in China, or you can buy new ones. ICP license for commercial websites (operational): this license allows your prospects to do online shopping. ICP license for non-commercial websites (informational): this license does not include direct sales. You have to register a domain in China and buy hosting. You have to get your Bei An service number. You have to register for the Aliyun ICP Management System. You have to log in to the Aliyun ICP Management System and fill out the registration form. You have to submit your documents for Aliyun’s approval. You have to have a photo. You have to wait for MIIT to approve it. If you decide to do it on your own or with an agency, it will take time. In the first case between three and six weeks, or in the second one it could be even longer. It is interesting to know that these three main steps are converging together. Indeed, when you apply for the domain name you will have to give the hostnames and IP addresses of the primary and auxiliary servers, as well as all the details of the applicant. If the applicant is an entity then it will be all the details of the entity plus the details of the applicant’s administrative contact. As you can see, it is not really easy to host a website in China. If you are interested in this subject and need more information, do not hesitate to contact us. Moreover, if you do not want to do it by yourself and you are looking for someone to do it for you, we will be glad to help you tackle this amazing market. Do not hesitate to​ contact us.